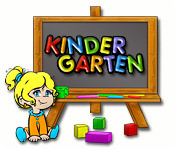 Kindergarten is rated 3.5 out of 5 by 10. Rated 5 out of 5 by brandyparks13 from Fun Hidden Object Game ! This game is very fun . It is helpful for little kids ! Rated 5 out of 5 by sifi_mum from excellent time management It was fun but really hard!!!! Rated 4 out of 5 by RondainNebraska from very cute Our 3 yr old grand daughter loves this game. She plays it all the time. very cute, I can't stay interested, I bought it for her not me. Rated 3 out of 5 by Boston_Mom from Not so hot I love the idea of this game, but you run out of upgrades to buy by week 6 and it seems to go one for much longer. I'm on week 12. there is also not an overall goal for which to work. Also, you don't know what time it is, the clock just goes around and around. When you finish it almost always says you're better than this - even though you took care of all the babies. Not sure what more they want. Maybe there are more upgrades if you achieve something higher. There is no "score" to tell you. Also there is a bug in week 11 where the teacher disappears. Rated 3 out of 5 by impulsive1 from Not sure who this game would appeal to This game would probably only be hard for my 3 year old, who can barely understand how to use a mouse, but most others would not find any challenge in this game. Rated 2 out of 5 by gg3000 from Don't confuse "Challenging" with poor game design I really enjoy Time Management games and I don't care if they are cute and cartooney or sophisticated and well drawn, as long as the game is fun. This game is the type that makes clicking on items really hard, usually because the main character is standing in front of whatever you need to select.The game also makes deselecting items very difficult and exasperating as you rush to complete the harder levels. It is "challenging" only because it is badly designed. It is boring because it has no story. I do not recommend it because it is not fun. Rated 2 out of 5 by GMGL from Regret buying this I love time management games, and bought this when it was on sale. Now I wish I hadn't. The controls are really bad. You can't carry two things at once, and often mouse clicks don't register, so you end up carrying the baby around and dashing around the room because the game didn't catch that you wanted to put the baby down first. So a lot of times, I ended up carrying the baby (when I intended to put him down#, walking to the bottle warmer and back without picking up the bottle because you can't carry a baby and a bottle at the same time. Then I'd have to try again, making sure to put the baby down first, then get the bottle for the baby. By the time I'd done this, both babies were screaming because I took too long. If my mouse clicks had registered the first time #or if I was able to carry two things at once), it would have been fine. This happened over and over until I finally quit playing because it was too annoying. Diaper Dash was a much better game if you want to play a daycare TM. 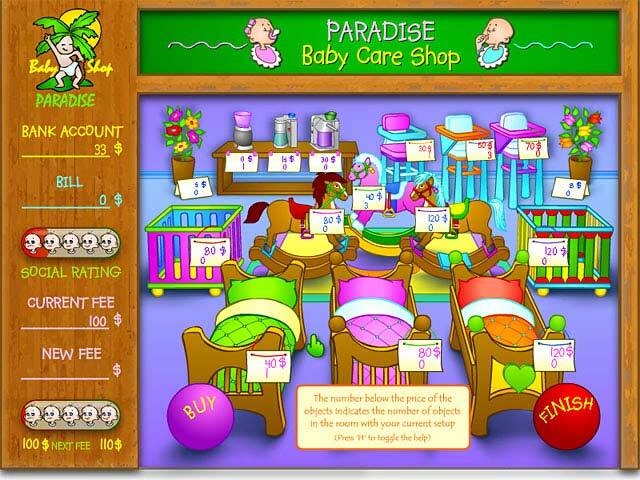 You may have cared for a baby once or twice in your life, but can you run an entire daycare? 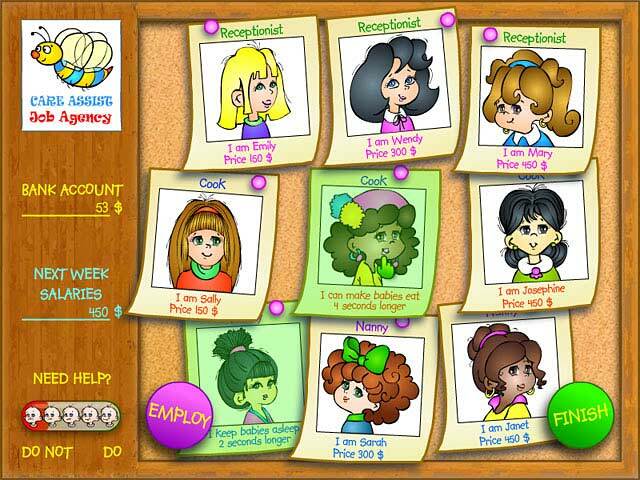 Try it in this adorable time management game.